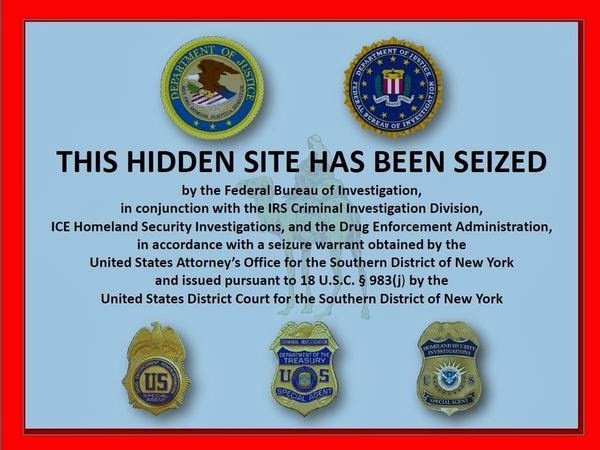 One of the underground anonymous market place website "Silk Road" domain has been seized by FBI. Silk Road allowed users to buy and sell guns, drugs and other illegal stuff by using encrypted, digital currency around the globe. "Ross Ulbricht" a.k.a (Dread Pirate Roberts) who was the owner of the site has been arrested yesterday. Ross was charged for computer hacking, narcotics trafficking and money laundering via Silk Road. Now the site is showing a message "This Hidden Site Has Been Seized". Silk Road used the "TOR hidden network" to hide itself and its users. All the transactions in silkroad were done using Bitcoins. After the domain seized the value of the Bitcoins has been also dropped. About $1.2 billion in Bitcoin flowed through Silk Road, resulting in a nearly $80 million commission for the service.